#1,705 Little Work + Mayor. – Laurel Mercantile Co.
Now reading: #1,705 Little Work + Mayor. #1,705 Little Work + Mayor. After church, we had lunch at my grandmother’s with my family and then Ben set out to unload trailer 2 of 4 from the Great Shop Take Down of 2014. There’s light at the end of the tunnel now with only 2 more enormous trailer loads to get rid of. The end is near. While Ben did that, I went back home to get out of my church clothes and do a little “milling around” as my Uncle Bobby calls it. In other words, I needed to just piddle. On a certain kind of Sunday, when the skies are overcast, quiet thunder is rumbling around and Fleet Foxes is on Pandora, there’s nothing else you can do, really. As the little storm began with fat rain drops tapping on my windows, I turned on the dining room sconces, pulled back the curtains and set my tools out—a piece of wax paper, a little ceramic bowl of water, a paper towel, a good pen, my Market stencil, my fabric paints, and the Book of Beards borrowed from the coffee table cart to keep my penpoint from tearing through the paper into the grooves of the wooden table top. 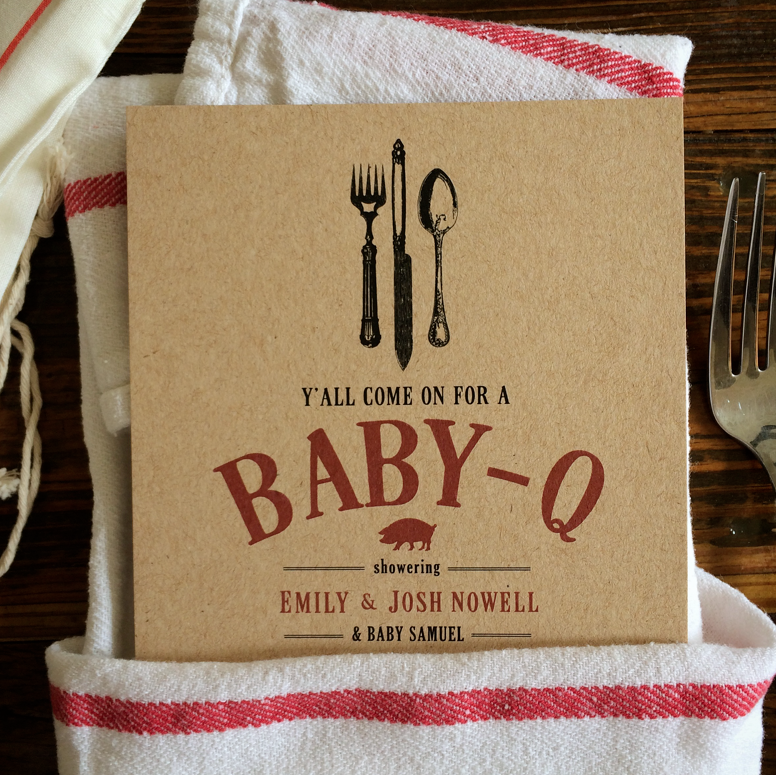 I striped 51 bags for an upcoming Market order, then addressed, stuffed and stamped the invitations to the Baby-Q we’re helping host for Josh and Em. It’s a little awkward to open gifts alone at a shower, as most baby showers are, so we thought it would be fun to make it something husbands can enjoy, too. So it’s a cookout that everyone can bring gifts to. Fun, right? I think it will be! Afterward, I spent the afternoon deep cleaning the house whilst wearing Ben’s XXL white V-neck t-shirt, my pajama boxers and the new riding boots to break them in. Practical. Baker for president! I’m voting the Pyrenees Party! Oh, lame joke. But Lisa will like it.